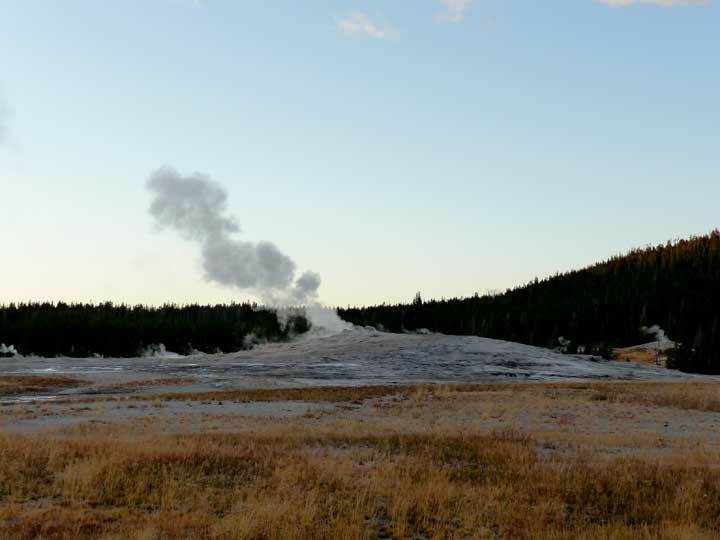 We stopped to vist Old Faithful before leaving the park. Unfortunately we had missed the erruption and it was too late to wait for the next one. We would stop again on the way from Glacier to Grand Tetons. We were also too late to have dinner at the lodge. We did have an interesting talk with a gentleman from South Carolina and we were treated to a beautiful sunset. 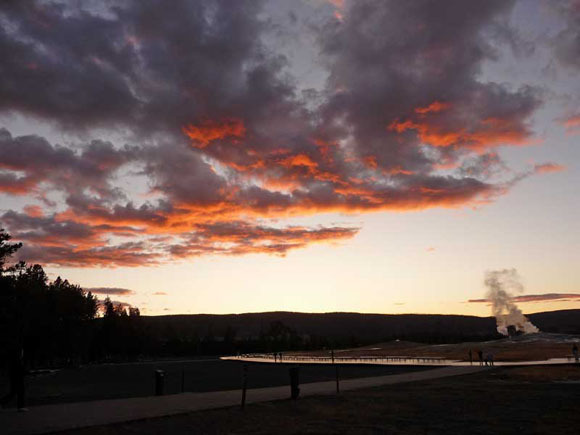 After the sunset, we drove to our motel in West Yellowstone to continue our trip to Glacier National Park. 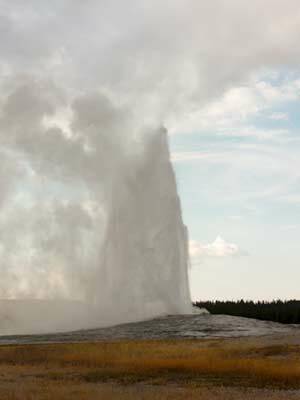 When our stay in Glacier was finished, we drove back though Yellowstone on our way to Grand Tetons. 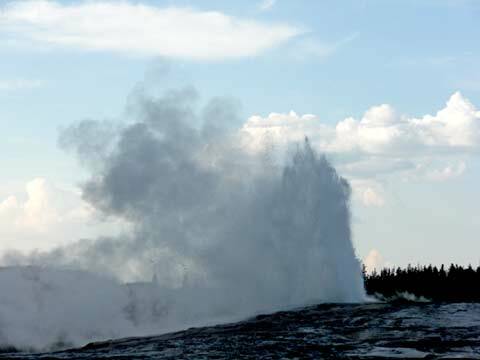 Our main objective this time was to be at Old Faithful for an eruption. We had a fair wait, but the wait was worth it. 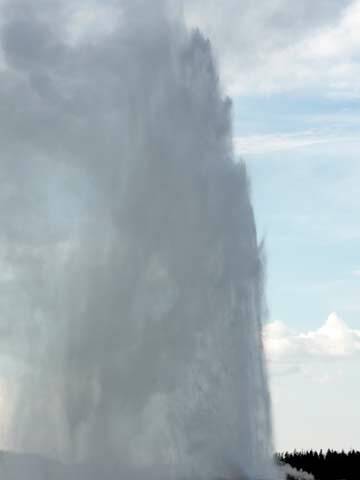 No matter how many times I see Old Faithful, it is still spectular.